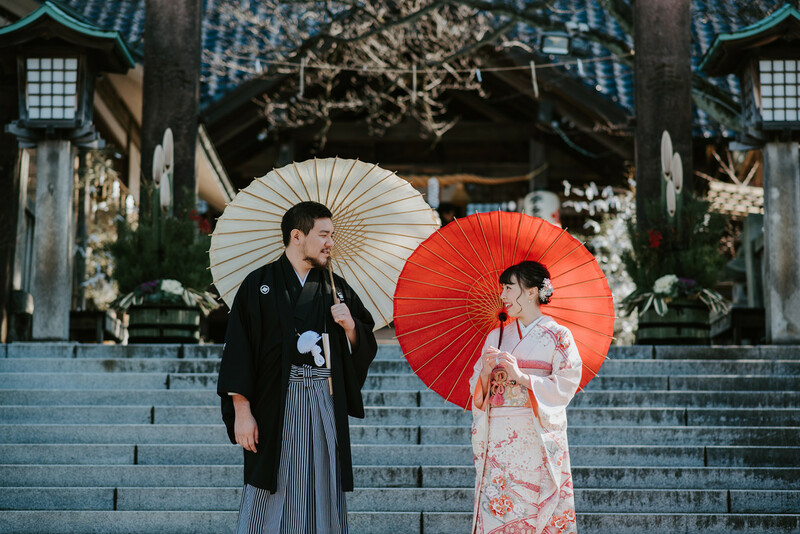 Have you ever dreamed of taking couple of family photos surrounded by Japanese culture? 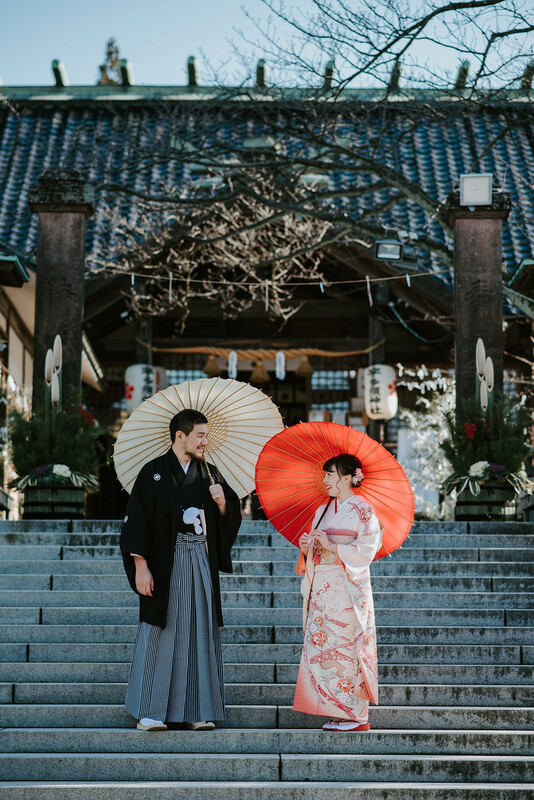 Imagine: you put on a kimono and walk down a street of historical Japanese houses-- just like the movies. 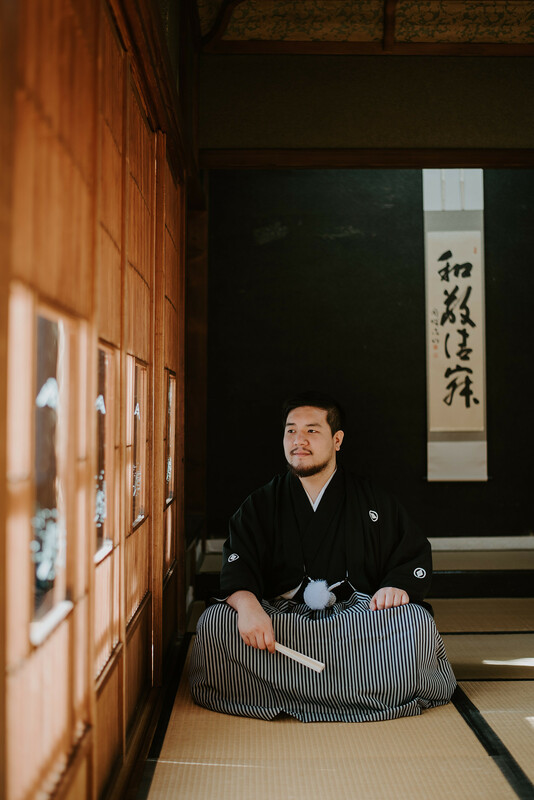 Maybe imagine posing at a Japanese botanical garden surrounded by traditional botany, or even sitting in a traditional tatami room. In this photo report, we highlight a couple that experienced all of the above. With the right photographer, all of this can become a reality, saved as photos that last forever. Feel inspired? Photography provided by the talented Kai! 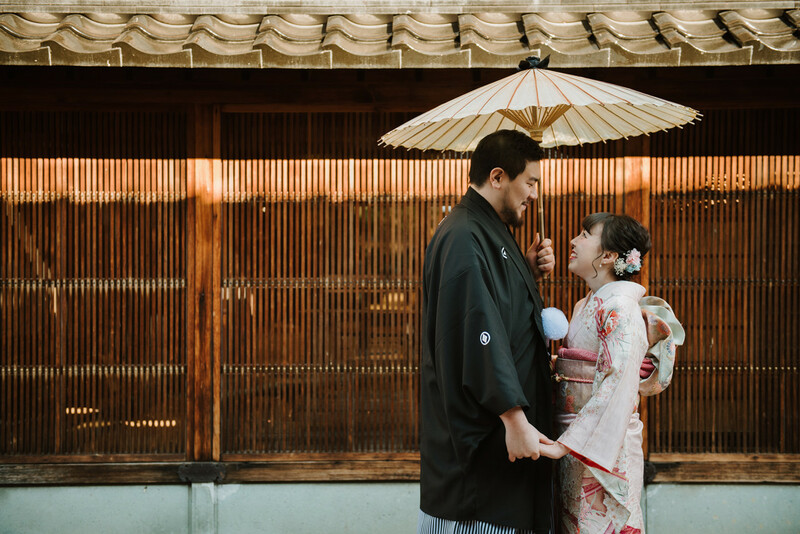 Kai is a freelance photographer from Singapore, currently based in Toyama and Ishikawa Prefecture. 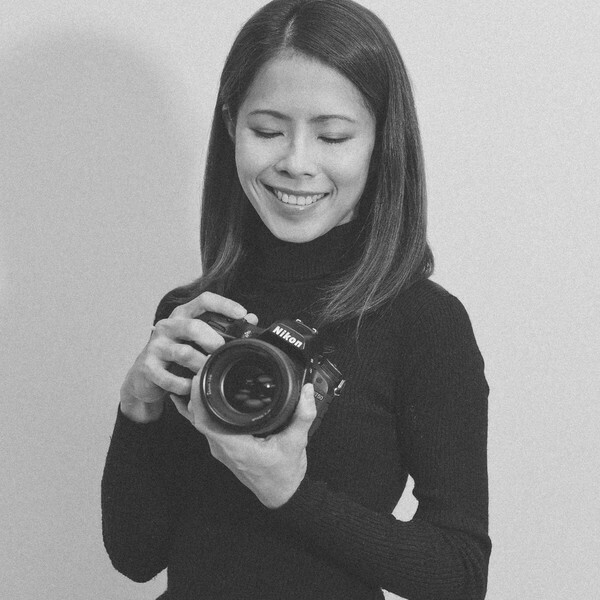 A talented photographer who can put your nervous mind at ease; she is a wonderful partner for making your dream photo shoot come true. Kai is available for couple shoots, including engagement and pre wedding photography. She speaks English, Chinese and Japanese. Highly recommended if you're planning a trip to the Toyama or Ishikawa area! Thank you again to the bride for participating in the interview below! Couple's answers are marked in italics. in the streets of Kanazawa, Japan. 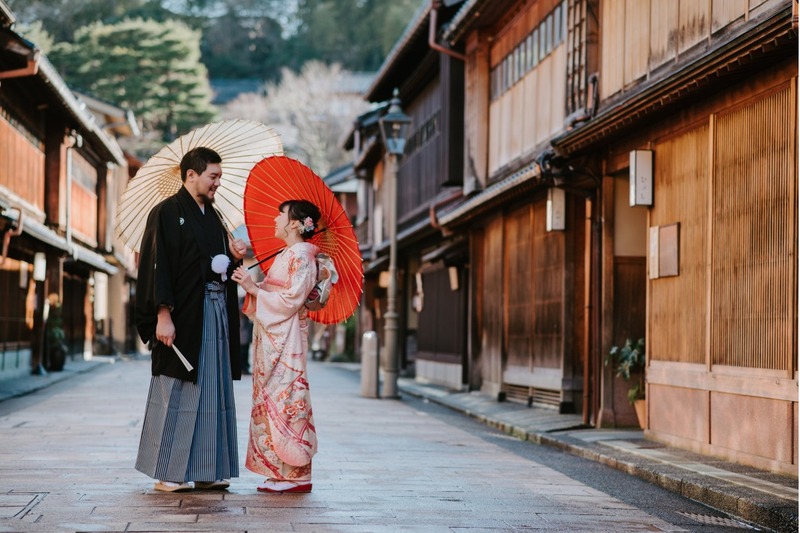 Why did you decide on a pre wedding photo shoot in Japan? 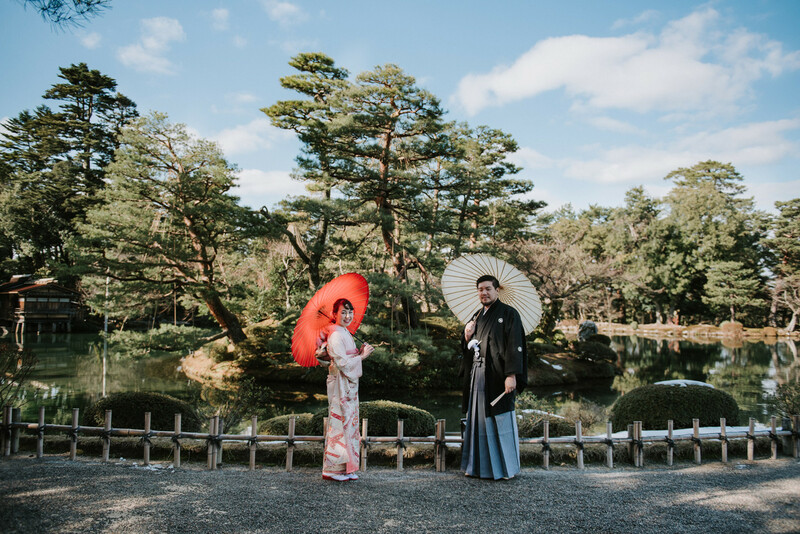 I decided on a prewedding photo shoot in Japan because I live close to Kenroku-en and thought it would be a real waste not to take my photos there. Also, I wouldn't have the opportunity to choose and wear a furisode back in the States. 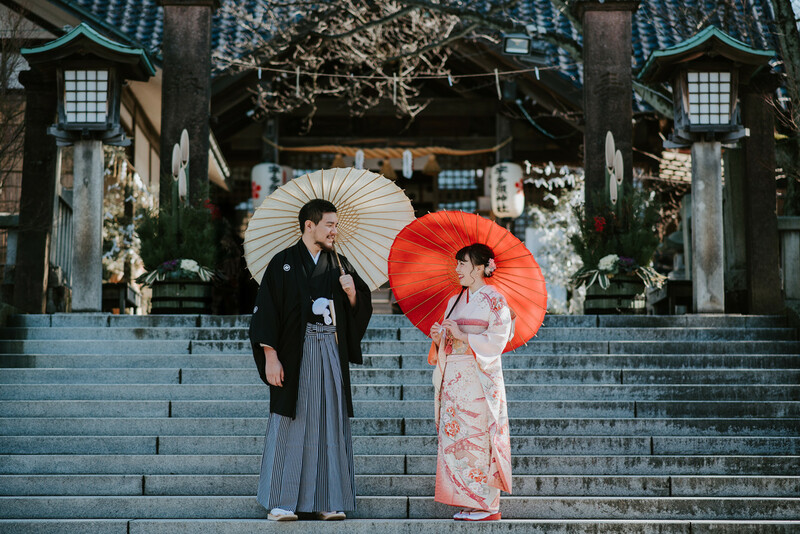 compliments the couple's traditional Japanese garments. Why did you choose Famarry for your photoshoot? I chose Famarry, because I was looking for a photographer who could speak English. I can speak a fair amount of Japanese, but thought it would be so much less stressful trying to take directions for photos in English. I also really liked that the website itself was in English and that the staff always emailed back promptly and thoroughly. In front of a Japanese shrine. Because our photoshoot was right after New Years, I was really afraid of it raining or being really cold. Also if there was a lot of snow it might have affected transportation. With advice from our photographer Kai, we bought lots of stick-on heat packs and extra socks. My fiance also bought a Kuro Muji Tomesode (type of Japanese kimono) with the Takeda clan crest on it for my family. 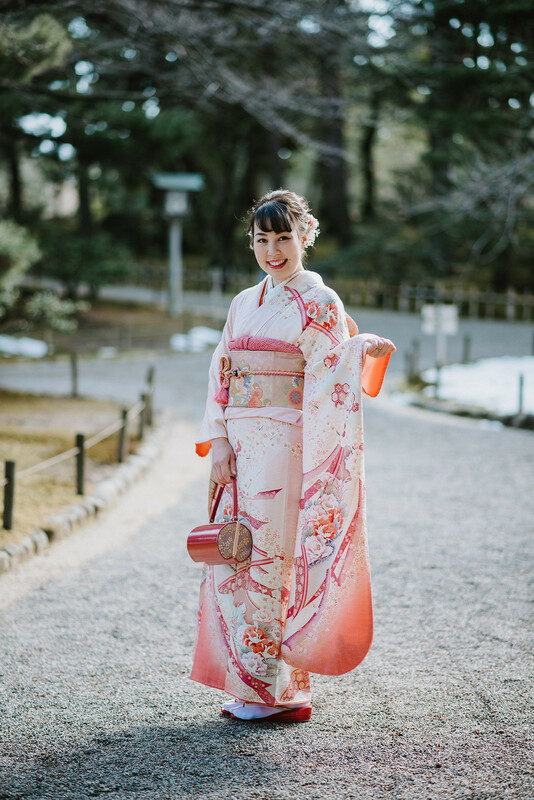 I rented a Furisode with a hair and makeup set from Kokoyui in Kanazawa. 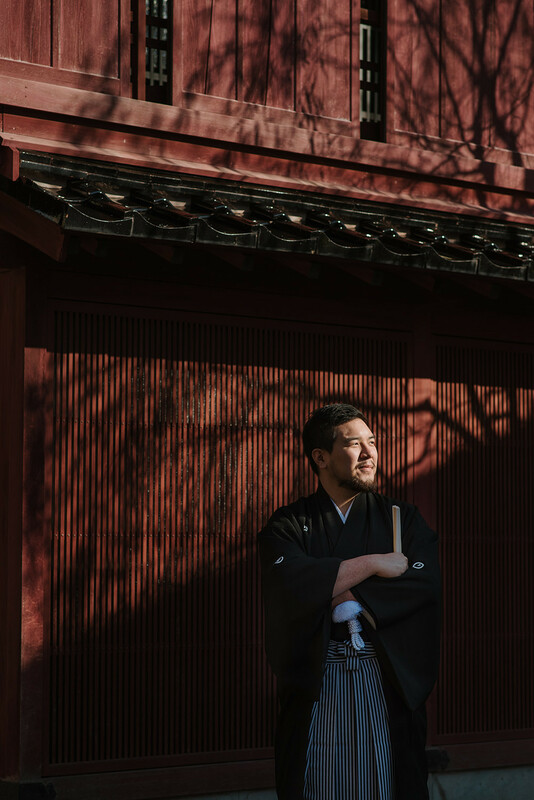 Great posing ideas for men in their kimono! How was working with Kai? The Japanese aesthetics are stunning. Do you have any advice for couples who are planning their photo shoots right now? If I had to give any advice I'd say to be prepared for the worst. We were very lucky the day was warm and sunny! But I know we would have still been alright rain or snow with all our preparation and Kai's wonderful skill. My other bit of advice would be that if you're planning to rent anything, contact the store first to make sure they will be open the day you plan to shoot. 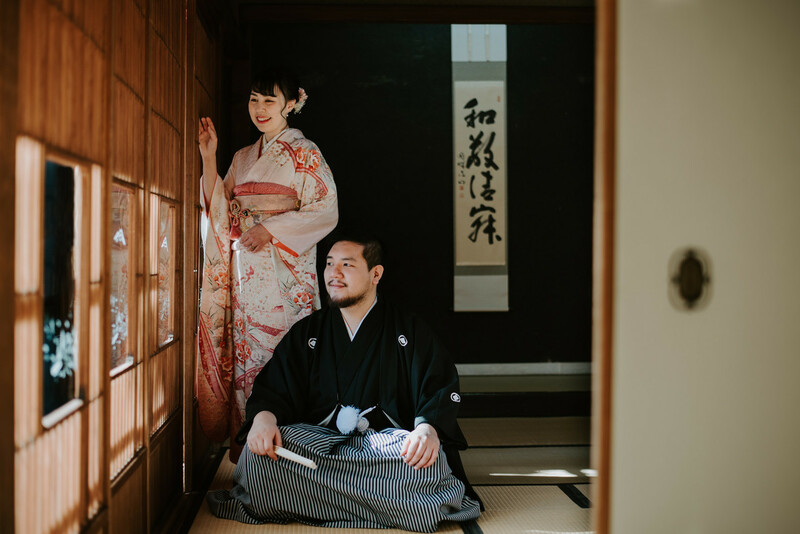 The original day we chose happened to be the one day my kimono shop was closed! Luckily we were able to change our day for the shoot, but I was really worried there for a second. And that's it, folks! 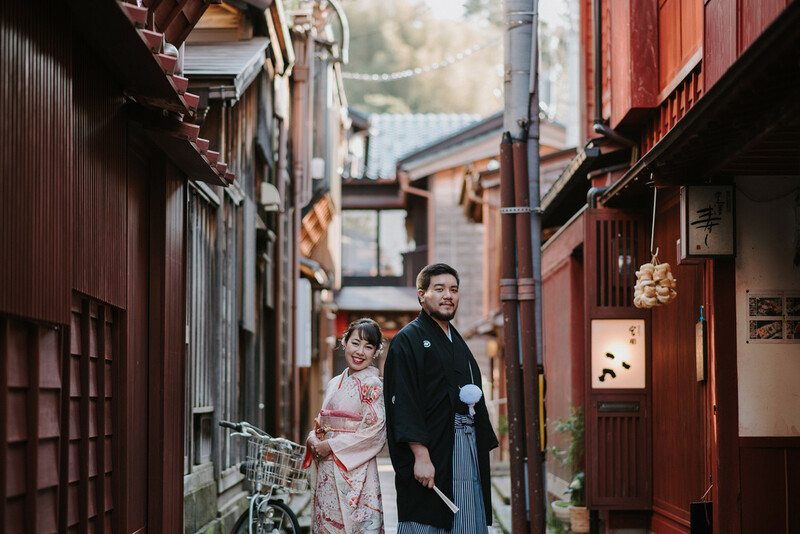 Fabulous inspiration for a photo shoot in Kanazawa. 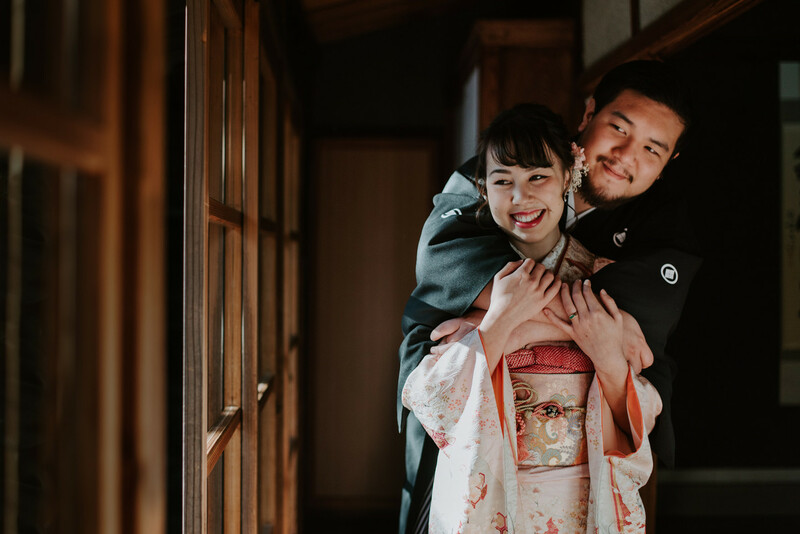 Thank you to the lovely couple, and the photographer Kai, for sharing their brilliant photos with us. Please visit Kai's photography portfolio to see more photos and pricings. Kai is a fantastic choice for shooting your own amazing adventures in Japan. Thank you for reading!